The following is an edited version of a speech delivered by Brendan McAllister, Commissioner for Victims and Survivors, to a conference of members of Justice for Innocent Victims of Terrorism in Dungannon on Saturday. Firstly, let me say my own words of acknowledgement about who you are. Your loved ones were precious. Not because they were in the RUC or the UDR or an ordinary civilian, Protestant or Catholic; not because they were a family member or a neighbour; not because they were targeted in their home or caught at random on a street; not even because they were innocent. Your loved ones were precious, most essentially because they were human beings. You are a group of people with a most intense personal experience of violation. You have no need of documentaries, books or enquiries, to tell you just how ugly and brutal an act of violence is. You know the utter humiliation of violence. And that ‘knowing’ is not something that exists only in your head: it is in your bones. The humiliation of violence is something you have felt more than you have ever said or managed to express in words. Humiliation is the opposite of dignity. Violence robs dignity from human beings: from the primary victim, from those who love them; from those who witness their brutal end. As a Commissioner, it is interesting and even inspiring to see dignity in the bearing of so many victims and survivors. It is something that they/you have recovered – but never completely. For there is a part of you that retains the violation; the humiliation; a place in your heart for a memory that is both precious and awful: your last contact with your loved one BEFORE; your last sense of them BEFORE and, alongside, a gnawing memory of how they were taken. It is worth noting, by the way, that violence also distorts the human dignity of the person who carries it out. As a society, every single act of violence over the decades of the Troubles did something to humiliate us all, really. Perhaps this partly explains why it often feels like the Past, all that killing and destruction, is something that a lot of people want to get away from: time to move on; time to concentrate on a shared future. Maybe people can’t cope with even the whiff of humiliation and desperately want to take on a new sense of dignity that feels untainted by what was done. Many people are walking away from a massive darkness behind them. People like you and organisations like JIVT are, at the very least, an uncomfortable reminder of an ugliness that many others would like to forget. But what was done to you was wrong; totally wrong. And to be on the receiving end of violence, to have looked it in the face and heard its grotesque sounds splitting your ears, creates a condition that you cannot quite shake off; you cannot totally unlearn what you know. And you struggle to find ways of reclaiming dignity over the lingering humiliation. And you understand, in your guts, that the signposts to dignity are justice, truth and acknowledgement. So here you are, in the year 2012, years after the ceasefires, years after the Good Friday Agreement with the release of the prisoners and the St. Andrews Agreement with the new deal for an Executive and the Hillsborough Agreement with the devolution of justice. And you are still looking for the signposts. The very name of this organisation begins with ‘Justice’. What justice do you want? What happened? Who was responsible? How can they be held to account? I think that, like many victims across this society, you want to look at the Justice system and see the signs of real and serious effort to answer those questions. Let’s consider the formal mechanisms that have been put in place. •	The Historical Enquiries Team, established to review 3,259 deaths. •	The PSNI is investigating 137 historical murders. •	The Police Ombudsman’s Office for Northern Ireland currently has 137 historical cases, 80 of which were referred from the HET. •	The Coroner’s Service is making its way through 29 legacy inquests involving 50 deaths. •	The Public Prosecution Service has responsibility for bringing people before the courts. •	The Criminal Cases Review Commission investigates possible miscarriages of justice regarding those who believe they were wrongly convicted or unfairly sentenced. •	The Independent Commission for the Location of Victims Remains has retrieved the remains of 9 of its list of 16 people, known as the Disappeared. Between all of these agencies, something in the region of 3,000 families have been or will be engaged by statutory bodies. Two broad areas of concern arise. Firstly, whether these agencies are working well with victims and families. At the Victims Commission we have engaged in some research of the experience of families with the HET, PONI, the PSNI and the Coroners Service. Researchers undertook case studies of 30 families. In relation to the HET, the majority of families in our study were satisfied with the HET officers’ professionalism, courtesy and empathy. On the other hand, some families were not satisfied with their treatment. There were questions about the HET’s independence. There was a range of views about the actual outcome of the HET process. Some people appreciated all of the evidence being collected into a report and having an official document that told the story in clear terms. One person observed that this brought a sense of acknowledgement. Others were dissatisfied with the outcome of the HET process, feeling as if they were left with more questions than answers and still had not reached the truth. In relation to PONI, the majority of those who had been through the process were generally satisfied with how they were treated, though communication was viewed as better on the first Police Ombudsman. While PONI reports were viewed as useful, the process took a lot longer than expected. While we received favourable comment about the good intentions of the Coroner, there was disillusionment with the length of time the inquest process had taken. There was concern about justice ever being done or before people passed away. The Police and the Ministry of Defence were viewed as obstructive and disrespectful of the Coroner’s Service. Similar criticisms were made in relation to the PSNI’s processes, particularly regarding communication. There was a sense of mistrust that the PSNI would conduct a thorough investigation and get to the truth. Our research is positive about the role of NGOs – non-governmental organisations – in helping families with historical investigations and information recovery. Clearly, NGOs have a useful role to play: helping families navigate their way through the justice system; acting as advocates to strengthen their voice, helping them find the right questions and knowing the right places to ask them. Our research has reinforced our own experience as a Victims Commission: the statutory Criminal Justice agencies could improve the quality of their engagement with victim families. To this end, we believe that NGOs operating in the victims sector should be able to apply for funding for advocacy and support work. We would like to see an increase in the use of advocates and the development of multi-disciplinary processes so that victims’ needs are more comprehensively addressed. •	The outgoing Police Ombudsman, the Chief Constable and, in recent days, the head of the Public Prosecution Service have all expressed concern about the capacity of their organisations to deal with historical cases, including the length of time involved. The Justice system moves slowly if it moves at all. •	On all sides of the community there are victim families and NGOs who believe that the HET, the Office of Police Ombudsman and the PSNI lack independence. Indeed, renewed questions have been raised with the European Council about whether the HET meets the required standard of independence in line with obligations under Article Two of the European Convention of Human Rights and the Criminal Justice Inspectorate – an official body – raised a similar concern about the Police Ombudsman’s compliance in a very critical report last year. •	The Criminal Justice Inspectorate also, in effect, questioned the professional competence of the Police Ombudsman’s staff. These are matters receiving ongoing, official scrutiny and the Victims Commission is continuing to keep the Police Ombudsman situation under review. •	In recent days, we have seen a judge dismiss the case against a number of loyalists facing charges in relation to the murder of Tommy English. 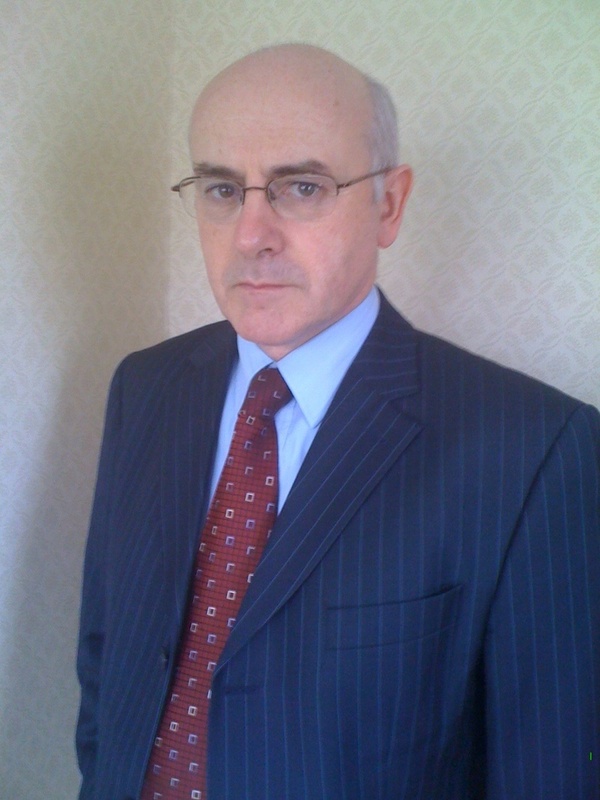 While the judge did not take issue with the renewed use of supergrasses, officially known as ‘assisting offenders’, his forthright conclusion about the unreliability of their evidence has raised a deeper concern about the ability of the Police and the Public Prosecution Service to obtain future convictions based on supergrass testimony. •	In wider terms, despite the efforts of Criminal Justice Agencies, only small numbers of individuals have appeared before the Courts, let alone been convicted. And that is likely to remain the case. It is in the best interests of this society – and particularly in the interests of victims – that the mechanisms for dealing with the Past have credibility across the whole community; that their independence is beyond question; that they are accepted as free from undue partisan or sectional influence and that the standard of their work is properly monitored and verified. Unfortunately, time is not on the side of victims. Apart from the fact that the victim constituency is ageing, it is difficult to see political leaders reaching agreement on improved mechanisms within the next couple of years, if ever at all. Since this is the situation we are in, then what is the right thing to do? Pressing the Justice system to do what it can to deliver justice is the right thing to do. I believe that many victims will derive at least a certain sense of satisfaction if they have confidence that, in the absence of better arrangements, the system has done all that it can do. Thus, there should be no question of amnesty. For amnesty is a denial of justice to victims; it is an abandonment of the possibility of someone being held to account. A society that holds on to that possibility is a society that keeps faith with its victims. Finally, I would like to reflect on the importance of truth. Many families yearn for more information relating to the death of their loved one. But ‘truth’ is more than the provision of factual information. Truth starts off with information but goes further and deeper than mere facts alone. The whole truth of life can never be known or fully understood by any human being. But we can improve our grasp of it. But, respect for the truth requires a willingness to hear more than those bits of the truth that you simply want to know. If you want only partial truth then you are only partially committed to truth. In simple terms, a deeper, wider engagement with truth will mean being open to the possibility of learning more about the person who has hurt you; of reaching a better understanding of their motivation and mindset. Let me emphasise, that I am not attempting to set out any kind of argument on behalf of those who have terrorised you, victimised you and humiliated you. Violence is wrong and it was never justified in this society, despite its divisions and injustices. Every act of violence carried out during the Troubles was a human and social disaster. But, I put it to you that if the signposts to human dignity point us all towards justice, they also point us towards truth and acknowledgement. So, I would urge JIVT to develop an instinct for curiosity: to be curious about the human beings who have hurt your members most grievously. In closing, I must stress that no one has a right to expect or demand such curiosity in you and I do not wish to add to your hurt. But new thinking is needed, at least among those whose job it is to provide political and civic leadership to this society, now struggling to live in ways that transcend bitter memory and understandable enmity. There is a special responsibility on public representatives to offer our people more than familiar slogans and taunts. A new kind of public discourse is needed: one that involves politicians speaking words of genuine curiosity about their opponents rather than taunting them in ways that simply play to the gallery on their own side in the style of a tired Punch and Judy show. Politicians may not be able to agree on arrangements for dealing with the past but a major step forward would be for them to help foster an atmosphere which makes it easier for organisations in the community to develop new and better approaches to truth and acknowledgement. Violence is a failure of the imagination. There is a responsibility on all of us who wish to act in the service of victims to use our imagination.